Tee up for an experience of a lifetime! 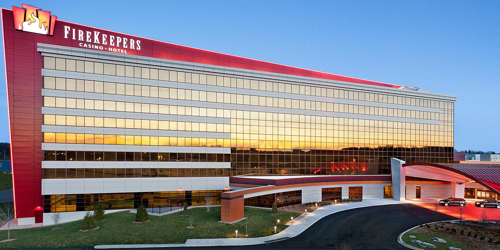 Book a hotel and golf package and each player receives $10 in Red Hot Credits or Match Play at Firekeepers Casino. Choose between 10 top rated courses for an unforgettable experience. Firekeeper Casino Hotel reserves the right to change price and offer at anytime. Prices and offer are subject to change without notice. GolfMichigan.com is not responsible for errors posted in this golf package.